At RHRLI, we’re very proud of the permanent solution we provide for hair loss. It’s called the ARTAS® System and it is the most precise hair transplant procedure you can find on the market. But some patients do need to explore other options. Some patients are unable to undergo a full hair transplant because they don’t have enough donor hair. They may also have a heavily scarred area of their scalp that needs to be covered up. If you have areas where you’ve lost hair and it’s unable to grow back, RHRLI can help with a procedure called Scalp Micropigmentation. At RHRLI we care for all types of patients with all types of hair loss. If you’re looking for a permanent solution for your thinning hair, ARTAS® is a minimally invasive treatment that uses robotic technology to give you a healthy new head of hair. All our patients consult with our board-certified surgeon Dr. Baiju Gohil. We treat all of our patients individually and we may recommend scalp micropigmentation or if you feel you might benefit from this treatment, let us know. We have a Scalp Micropigmentation Specialist on our staff, and we want to let you know a little bit about this treatment and give you information about how it’s done. 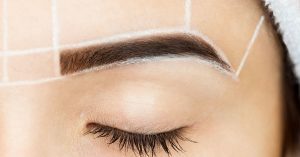 According to the Guardian, scalp micropigmentation is a non-invasive hair loss treatment that involves the use of a specialized treatment and permanent ink. In short, it works like a tattoo. According to an article in the Journal of Clinical and Aesthetic Dermatology, the procedure involves the use of tattoo instruments done in a stippling pattern on the scalp. Scalp micropigmentation involves the use of concealers which are made up of pastes or fibers that approximate a hair color. Using these instruments, your scalp micropigmentation specialist will be able to create the artistic effect of a closely cropped haircut. Your specialist will have access to different color hues and a cosmetic tattoo instrument that has the capability of creating the small dot that’s needed to approximate a hair pattern. The dot must be between 0 and 0.1 mm. A micro-droplet of pigmentation will be used with an instrument that will usually use one to six needles cycling between 100 to 150 cycles per second. The needle has to be able to penetrate the epidermis to get to the upper dermis. You’ll need an expert operator in order to make certain this is done properly because each patient’s scalp is different. Your scalp micropigmentation specialist must be able to “feel” and make a visual judgment about how far to penetrate. Things like thicker scalps and scar tissue will also play into how far to penetrate. At RHRLI, we have a scalp micropigmentation specialist with a background in television makeup. Your treatment will usually require three sessions spaced about two to three weeks apart. Each session should last about 2 to 4 hours. Whether you’re looking to complete a scalp micropigmentation procedure or if you’re looking at a permanent solution to your hair loss through ARTAS®, RHRLI will get the job done right. Contact us today.